Work is nearing completion to expand the globally significant Centre for Clinical Haematology at the Queen Elizabeth Hospital in Birmingham. The transformational £3.2m development to double the capacity of the world class Centre has received over £2m from the Local Growth Fund (LGF) and Cure Leukaemia has made a commitment to raising the additional £1m required by December 31st 2017. Below you can see the progress throughout 2017 in our Flickr album. 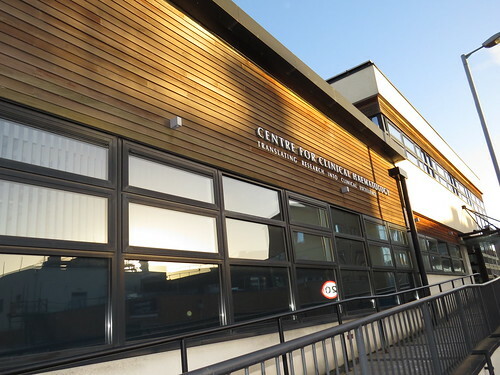 ♦ We would love to hear from you about why this Centre is so important to you. To share your story either tweet us @CureLeukaemia or email us via beinspired@cureleukaemia.co.uk. ♦ If you'd like to organise your own fundraising event please email Jennie@cureleukaemia.co.uk or call 0121 236 9202.